Pittsburgh is a scenic and vibrant destination in the United States. This beautiful city has more than 305,000 residents and is a gorgeous destination that’s perfect for a holiday. Pittsburgh offers lively eateries, luscious green spaces and high-class museums, with top touristic attractions including the Point State Park, the Andy Warhol Museum and Pittsburgh Zoo & PPG Aquarium. Discover this amazing holiday destination (which was once a place of steel, coal and smoke), because cheap flights to Pittsburgh are now available for a limited time! Pittsburgh is home to the Pittsburgh International Airport (PIT), an efficient 20-minute drive or a scenic 55-minute bus ride from the city centre. 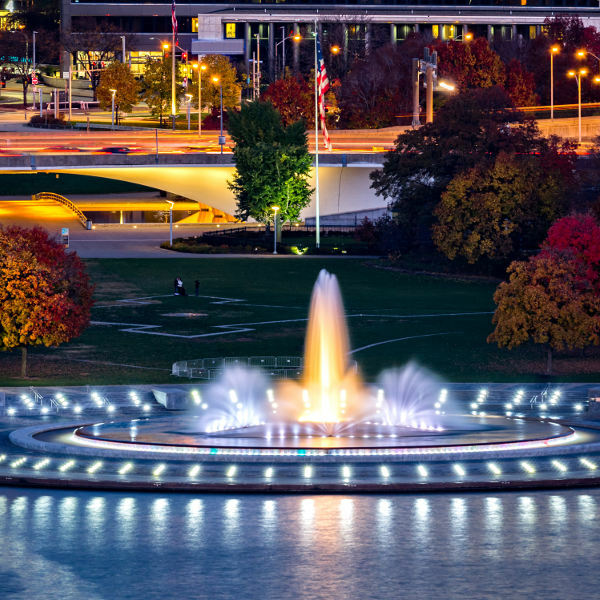 Take time to explore the beautiful streets of Pittsburgh and discover gorgeous attractions, such as the fountain at the Point State Park and the Phipps Conservatory and Botanical Gardens. 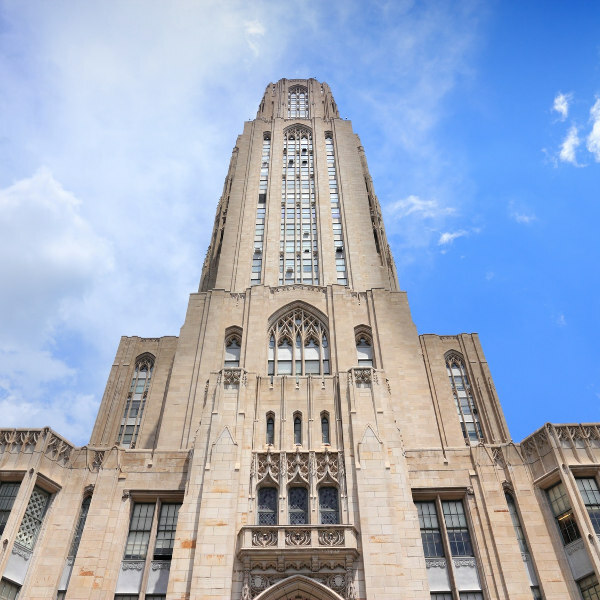 The rich history that Pittsburgh boasts affords you the pleasure of finding stunning architectural structures, such as the Carnegie Mellon University and the Cathedral of Learning. 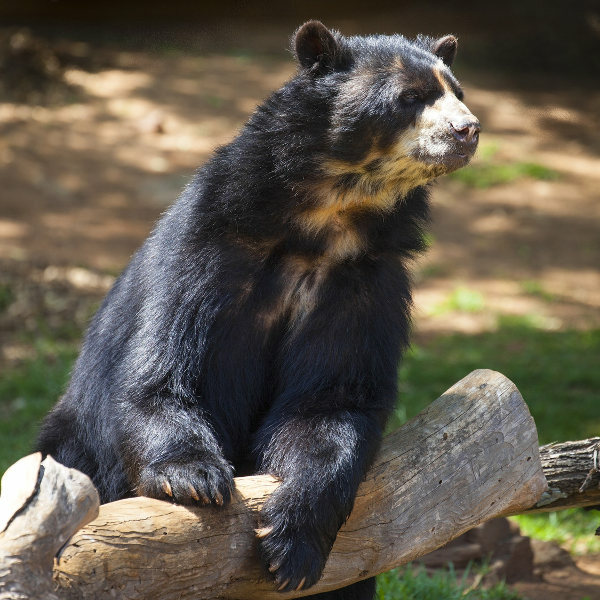 Animal lovers and those interested in observing wildlife should definitely take time to visit the Pittsburgh Zoo and PPG Aquarium and the National Aviary. Meet a variety of different exotic species from across the world. June – August (summer) may bring the highest temperatures and rainfall of the year, but that doesn’t stop Pittsburgh from enjoying numerous concerts, fairs and outdoor festivals, such as the Dollar Bank Three Rivers Arts Festival and the Pittsburgh Jazz Live International Festival (both in June). If you love a lively environment and can brave such conditions, this is the time to go, but make sure to book your flight ticket and accommodation in advance, since this is the time when the highest volume of tourists visit Pittsburgh. Should a relaxing time be what you’re really after, then consider visiting this American destination during the late spring (May) and early autumn (September). The rainfall will be lower during these months while the temperatures will be pleasantly warm. Events take place in Pittsburgh throughout the year, and these months are no different, with Pyrofest in May and the Thrival Innovation & Music Festival in September. Pay a visit to one of the most exceptional cities in the state of Pennsylvania – Pittsburgh. This American destination has made great strides to become the beautiful tourist hotspot it is today. Pittsburgh sits on a picturesque location, at the convergence of three rivers, the Monongahela, Allegheny and Ohio. Added to this stunning setting are the green hills around the city, and the luscious parks and gardens in Pittsburgh, such as the charming Phipps Conservatory and Botanical Gardens and the stunning Point State Park. Discover remnants of Pittsburgh’s past by exploring this destination’s many architectural structures, monuments and historic sites, including the iconic Andy Warhol Bridge, the famous baseball park of Forbes Field and the USS Requin museum at The Carnegie Science Center. Find out more about this city in at its variety of museums, such as the Carnegie Museum of Natural History, the Cathedral of Learning and the Senator John Heinz History Center. Immerse yourself in American culture by enjoying a match at some of the sports venues in Pittsburgh, including a football match at Heinz Field, a baseball game at PNC Park and an ice hockey contest at the PPG Paints Arena. For all your shopping needs and when your appetite needs satisfying, explore the numerous eateries and street vendors at the Strip District. This is also the place to discover the original creations at a number of art studios, and vintage treasures at some antique dealers. One of the best places to get breath-taking views over the scenic Pittsburgh is Mount Washington, which sits on a hill, and is home to a row of upscale restaurants. When you’re just looking to relax, rejuvenate your senses with the stunning vistas this vantage point offers. Compare several airlines and book your cheap flights to Pittsburgh online at Travelstart! When attending a football match, make sure not to wear any colours resembling those of the local team’s (Steelers) main rivals (the Baltimore Ravens). The same applies when attending a baseball game or an ice hockey match. Find out who the local teams are and who their rivals are to avoid unpleasant experiences. When driving, cycling or walking, keep watch for drivers making the “Pittsburgh Left”. At traffic lights, a driver wishing to turn left will do so as soon as the green light displays. At many of the intersections, there is only one lane, so this left turn serves the purpose of preventing the creation of blocks in traffic.